Our air bottle cleaning machines are of particular interest because of the long cleaning cycle time of up to 3 seconds. 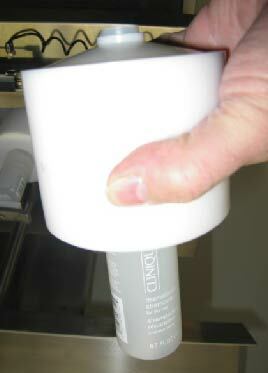 Throughout the cleaning the bottles are held fully upside down enabling rigorous cleaning of flat shouldered bottles and paper off cuts and dust or glass. 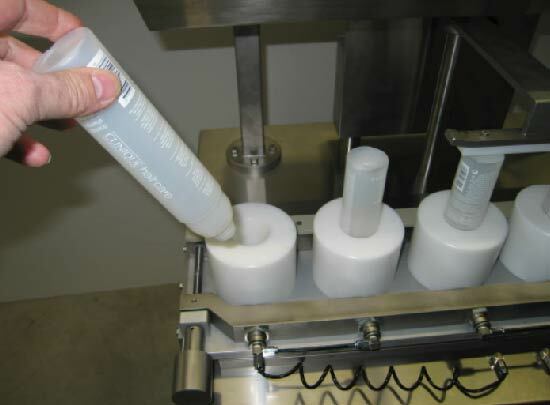 With speeds from 40-200 bottles per minute the elegant bottle transport even allows bottles in pucks to be handled. The air rinsing machines are available for the full range of speeds as either semi automatic units, single lane and double lane high speed units up to 200 bottles per minute. 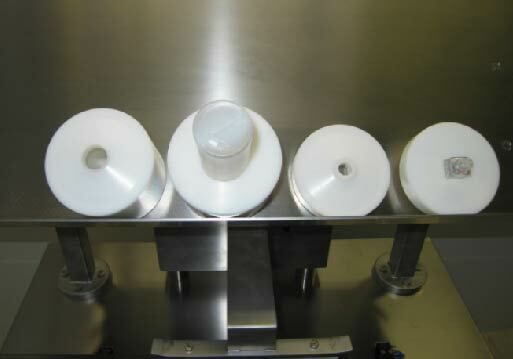 In standard design, bottle diameter of up to 80mm and bottle height of up to 200 mm can be handled. 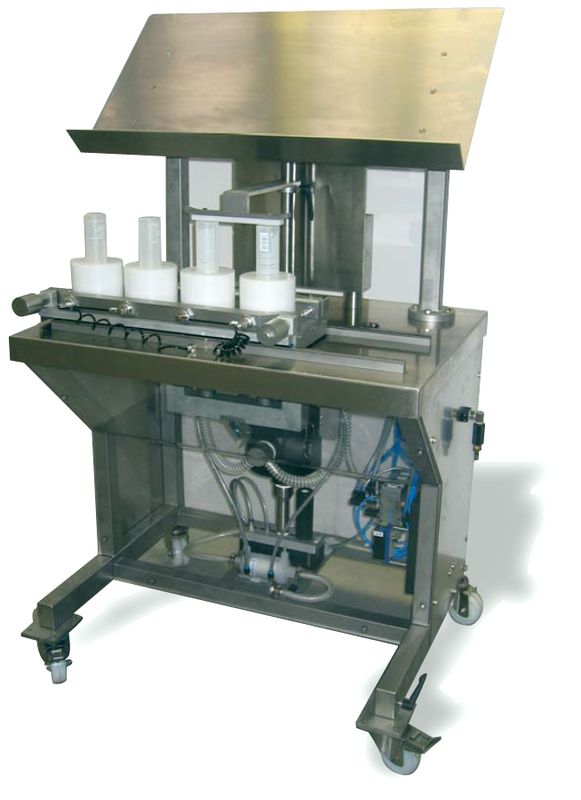 The DAB 200 is designed for small batches and short runs. The Bottles are manually placed upside down into the machine. Whilst two are being cleaned the next/previous two bottles are loaded/unloaded. 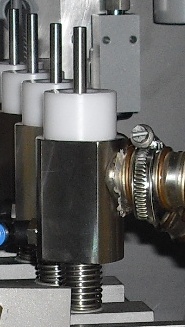 Automatic starting of cleaning cycle when bottles are pushed above the air rinsing station. Transport through the machine is manual. 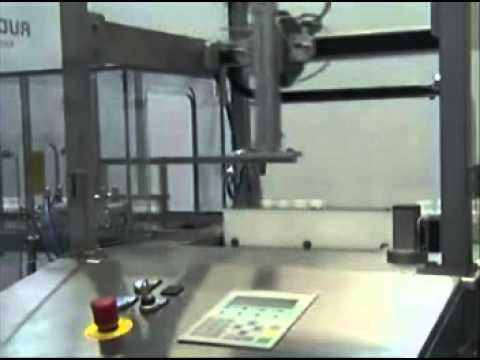 Servo controlled tablet counter line at Interpack with topserter and outserter.